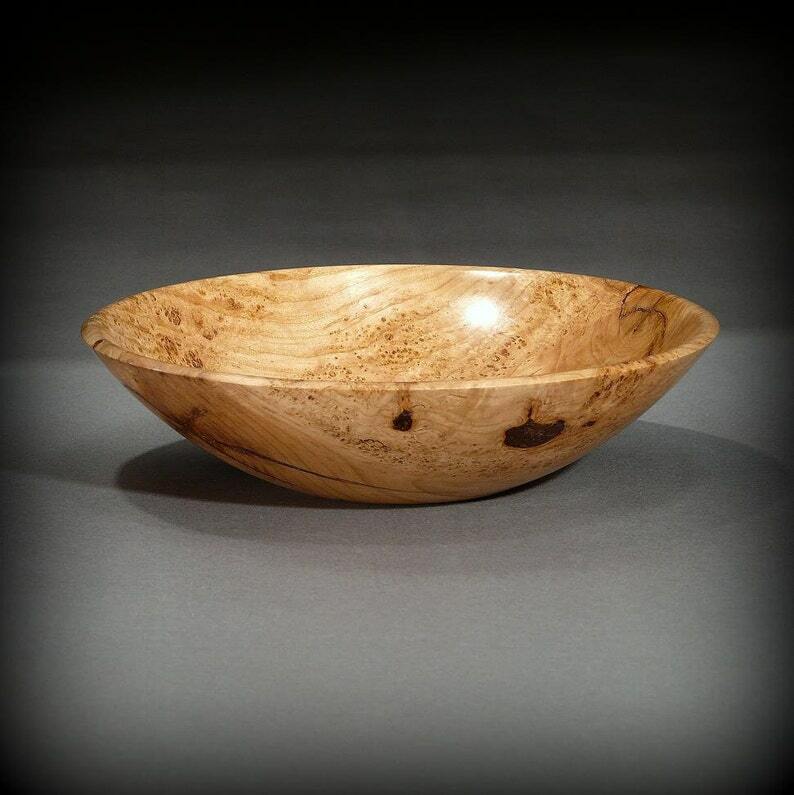 Black Cherry Burl bowls are a North American favorite, with their appealing patterns of birdseyes, random grain lines, and earthy coloration. As time goes by, the Cherry ages and takes on a richer color that's very desirable. This piece has the birdseyes, a couple bark inclusions, and some natural drying cracks that emanate from two knots. The cracks have been glued and sealed, and will not affect the strength of the bowl, but add visual interest. Buffed, hand-rubbed semi-gloss finish, polished with fine finishing waxes. See more such bowls at my other site, www.Bowlwood.com. Read more about them at my blog, www.Timberturner.blogspot.com.